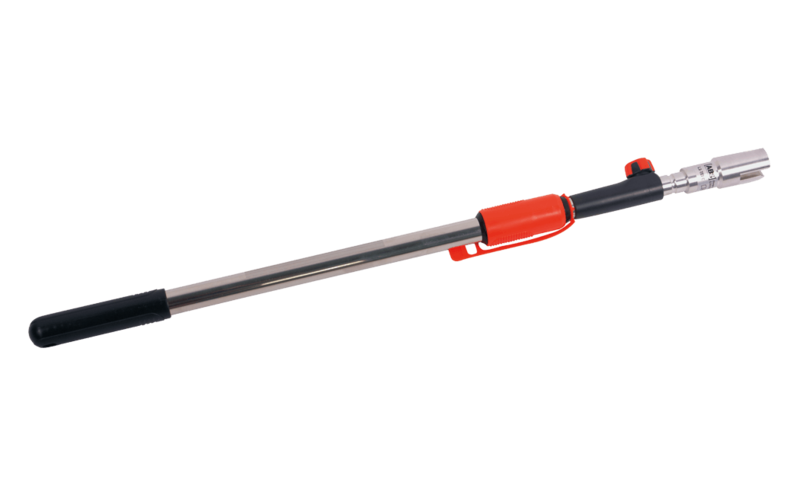 Use our portable ABS-Lock I+II anchor system in remote and difficult-to-reach places with the help of this telescopic rod. Our ABS-Lock I TelePole is available in three different lengths: 58-98 cm, 160-290 cm and 210-390 cm. Our ABS-Lock I+II system is a popular fall protection solution for securing a window zone. The anchor can be installed directly under the window as the anchorage eyelet is removable, i.e. you can still easily open and close the window. However, the anchor should only be inserted from a safe distance, if the window is open - which is easily done using an ABS-Lock I TelePole telescopic rod. The end of our ABS-Lock I TelePole is fitted with a special adapter designed to take up a detachable ABS-Lock I anchor. This lets you simply insert the anchor into a permanently installed ABS-Lock II sleeve (and remove it again afterwards) - even when it cannot be reached from ground level. There is no need for a ladder which is only another possible source of accidents and falls - and using a step ladder or similar climbing aid is definitely not an option when the window is open. Our ABS-Lock I TelePole comes in 3 extension lengths: One that can be adjusted from 58-98 cm (Tele-1), one for lengths ranging from 160-290 cm (Tele-3) and the third for lengths from 210-390 cm (Tele-4). We also have plenty more telescopic rods on stock. An ABS-Lock TelePole, for example, can be used to pull the carabiner hook of a self-retracting lifeline hung under the ceiling and which cannot otherwise be reached down towards you - or use one of our specially-designed ABS UP System devices to connect your personal protection equipment with other difficult-to-reach anchors.